There are many benefits when it comes to buying a used car nowadays because the pros outweigh the cons. It’s even more beneficial when realizing the price difference between used and new cars, and that used cars are almost just as reliable. 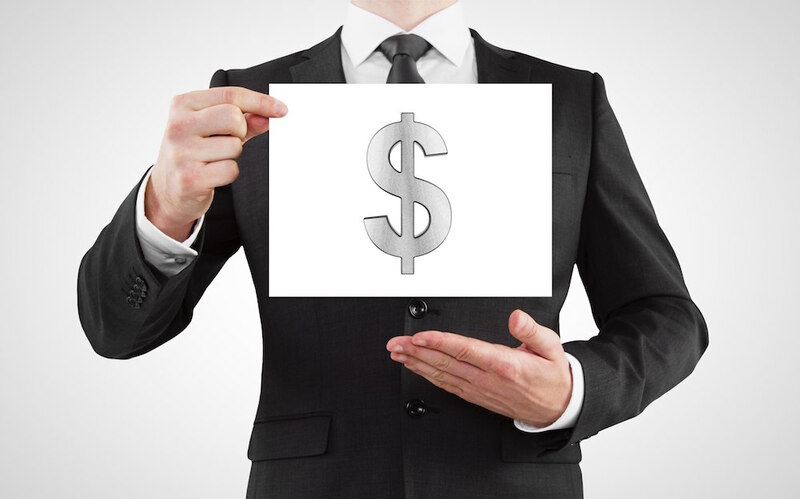 Especially when purchasing a Certified Pre-Owned vehicle; these CPOs truly minimize risk and maximize opportunity, which is what consumers are looking for in a used car. Be wary though, not all used cars are reliable, and looking for a trusted dealer can be tough. So, when searching for used car dealerships in Albany NY, look towards DePaula Chevrolet. DePaula Chevrolet provides the best value on vehicles in Albany, and has a great selection of cars backed by professional servicing if something goes wrong with the vehicle. The advantages of buying a used car are simply too good to ignore. Now, finding a car that runs like it’s brand new and only a few years old in a used car lot is a real possibility. Ultimately, this vehicle will be much cheaper but properly maintained and repaired to compete with new models. Let’s take a look at a car on the DePaula Chevrolet website for an example. There is a used 2010 Chevy Malibu LS for $8,899 with 64,454 miles. Now, the mileage may seem a little high, but not when you put it into perspective. Even though this vehicle isn’t Certified, it’s still a good deal. The starting MSRP of a 2016 Malibu LS is $23,995, not including the interest rate that will be tagged on to the payment plan. Visually, the 2010 Malibu is in good condition, and is being sold by DePaula because it’s a value for someone who is just looking for reliable transportation. It’s only five years old, so it will still have some of the fun technological features the 2016 one does. The $23,995 price tag for the new model might be out of your reach, so it’s good to know there’s an alternative. There are a few other factors that need to be considered when looking at the price of a new or used car. The sales tax is one of them, and it can be up to thousands of dollars added on to the original price of the car. In most states the sales tax is, obviously, less on a used car bought from a dealer, or nonexistent when bought from a private party. In most states, the registration fees can also be expensive. Registering a new car can cost up to a thousand dollars, but registering an older vehicle between 3 and 5 years can cost significantly less. Closer to the $300-$400 mark. Typically, a new car will also have all sorts of tag-along packages or extras that are subtlety rolled in with the new car. Things like anti-rust coating, pinstripe, or protective film for the paint all jack up the price of a new car, and are completely unnecessary. Not only unnecessary, but they are also overpriced when it comes from the dealer. These features can be bought for much cheaper from an after-market third-party, or even better when the car is used. See where this is going? Say there is a 2013 Cruze kicking around that has those 3 features mentioned, and they are all still good. The next owner will save even more money buying it used, because the previous owner spent more money to have those features put on the vehicle. 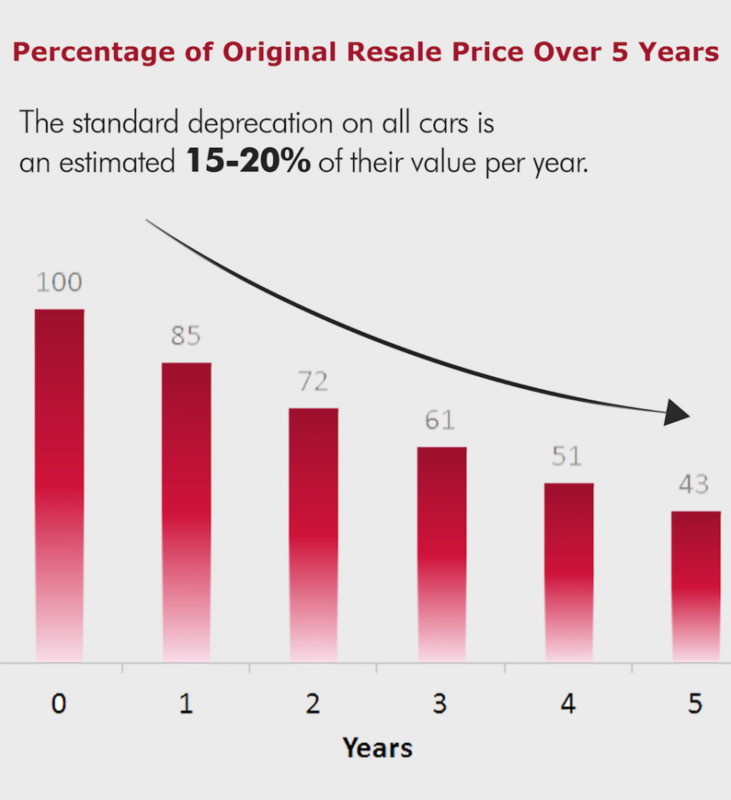 There is also the pressing issue of depreciation, which is the biggest money-waster when it comes to buying a new car. The depreciation of the vehicle begins when it’s driven off the lot for the first time, which causes thousands of dollars lost in value to the vehicle. This means that the vehicle is no longer worth what was originally paid for, even if it was just driven off the lot 3 minutes after the deal was cut. Over the next 3-4 years, the car will depreciate in value rapidly. Generally, it will lose about 15-20 percent of its value per year, which equates to 45 in 3 years, and 60 percent in 4 years. That’s about the time someone would scoop it up at a used car lot for just around 40 percent of what it was originally worth… Just like the 2010 Malibu that was mentioned. There is a stigma around the term “used car.” People generally think of an old and rusted Firebird that is 20 years old and can only be started by hitting the engine before turning the key. Those days are long gone, now used cars are just as reliable as newer models. Especially if they are only a few years older than the current model year. 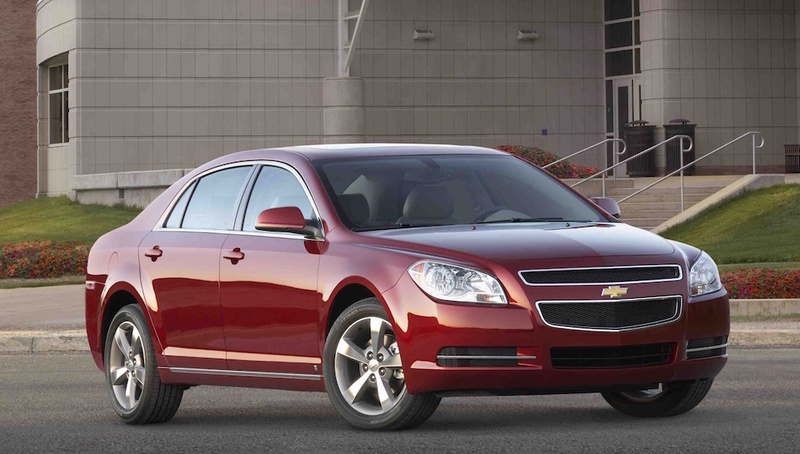 Take the 2010 Malibu LS for example; it only has 64,454 miles and is valued at $8,899. The way most vehicles are built now and days, especially one from 2010, is they are meant to last for at least 100,000 miles. This means that Malibu has at least 35,000 miles left in it if it was manufactured poorly, and if it wasn’t manufactured poorly there are even more miles left on it. Unless you are taking constant road trips, there is no way you will hit that 100,000 mile mark anytime soon. Still worried about the unreliability of the used vehicle? Look for a CPO option at dealerships like DePaula Chevy, and get that peace of mind that comes with it. 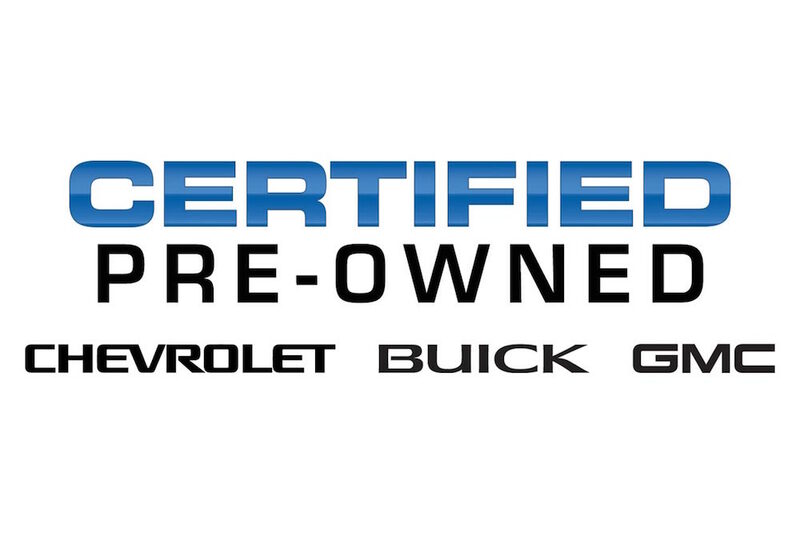 A certified pre-owned vehicle is another great option; it’s a dealership’s guarantee that the CPO car has been rigorously inspected and repaired to be in an almost new condition. Only certain cars will qualify for the manufacturer, and in order to qualify the vehicles need to meet certain criteria. Such as being under a set mileage, being in good mechanical/physical condition, and only be a certain number of years old. The vehicle goes through a multi-point inspection if it meets 3 out of 4 of these criteria, and the inspection checks the mechanical quality. The multi-point inspection varies from manufacturer to manufacturer, but the purpose is the same; quality assurance. At DePaula Chevy, the vehicle is not considered to be CPO unless it has gone through Chevy’s 172-point inspection requirement, and is in good mechanical condition. There is a 2012 CPO Malibu LS on DePaula Chevy’s website worth $9,796, compared to the 2010 Malibu mentioned previously. As you can see, it’s about $1,000 more, but well worth the price. The CPO title gives it the seal of quality from DePaula Chevy, along with some extended warranties available if something goes wrong with the vehicle. Even if you don’t get a CPO vehicle, that peace of mind and reliability is wrapped in with all of DePaula Chevrolet’s used vehicles. Especially when their professional sales staff are backed by trained and certified maintenance staff if something was to go wrong with a car. With over 2,000 averaged five-star reviews between Google Plus, Edmunds, Cars.com, and DealerRater, DePaula Chevrolet is not only prized for its various stock of good-condition vehicles or stellar maintenance service, but also for it’s concern for the customer. They understand a work-week can be hectic, so if the Monday-Friday grind is booked, then take advantage of weekend hours that are available for service. The value provided from DePaula Chevrolet is far more than just a price, it’s the customer satisfaction and peace of mind that comes with purchasing a car from DePaula Chevrolet. These elements combined are what make DePaula Chevrolet the best value in Albany, New York.